We visited the Stanley Park and Capilano Park during our visit to British Columbia (BC), mainly to see the temperate rain forests. 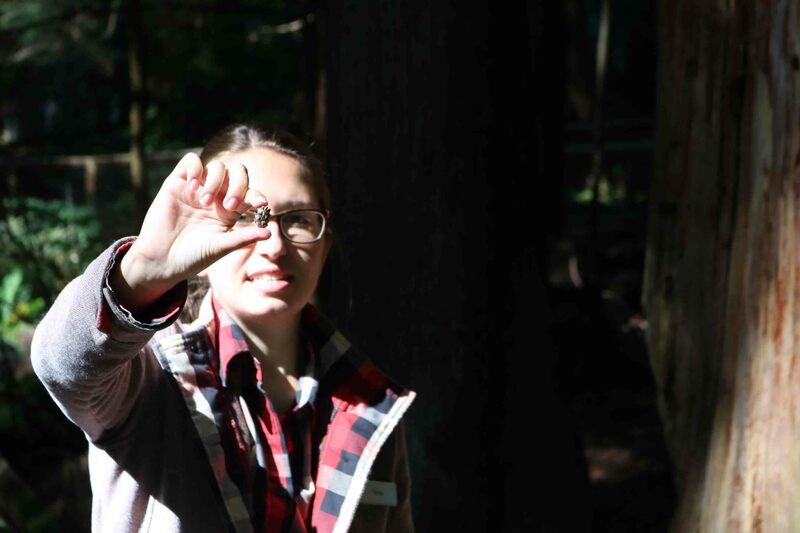 How is the temperate rain forests different from its tropical cousin? The term ‘rainforest’ implies forests in high rainfall area, making them very dense and green. Tropical rainforests lie closer to the equator while temperate rainforests are found at latitudes between the two Tropics and Polar Circles. This causes temperate rainforests to be cooler, have less precipitation, contain less biodiversity and slower decomposition than their tropical counterparts. Canada’s rainforest falls between the Arctic Circle and the Tropic of Cancer, forming a narrow band along the coast of the Pacific Ocean from Alaska to Northern California. Other countries that have temperate rainforests are Chile, New Zealand and Norway. 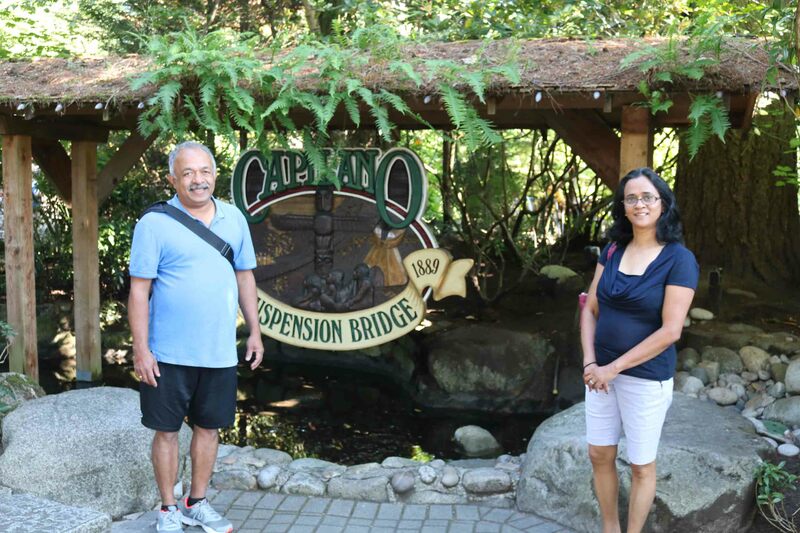 In the morning we visited the Capilano Suspension Bridge Park. The park offers visitors a unique mix of adventure, history and culture. The park showcases a totem pole park, North America’s largest private collection of First Nations totem poles, period decor and costumes. Totem pole is a monument created by Northwest Coast Aboriginal people to serve as a signboard, genealogical record and memorial. 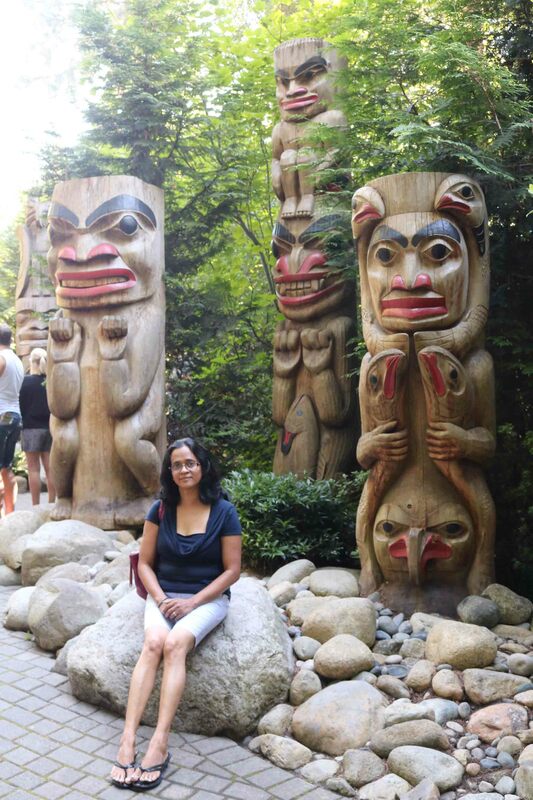 Carved of large red cedar and painted in vibrant colours, they are usually erected to reflect the history of that lineage. Theses poles are also erected as memorial poles, grave figures, house posts, house front poles, welcoming poles and mortuary poles. The entrance to the park as the name suggests is by way of a suspension bridge. The bridge was originally built in 1889 of hemp ropes with cedar plank deck. It was replaced with a wire cable bridge in 1903. The bridge was completely rebuilt in 1956. 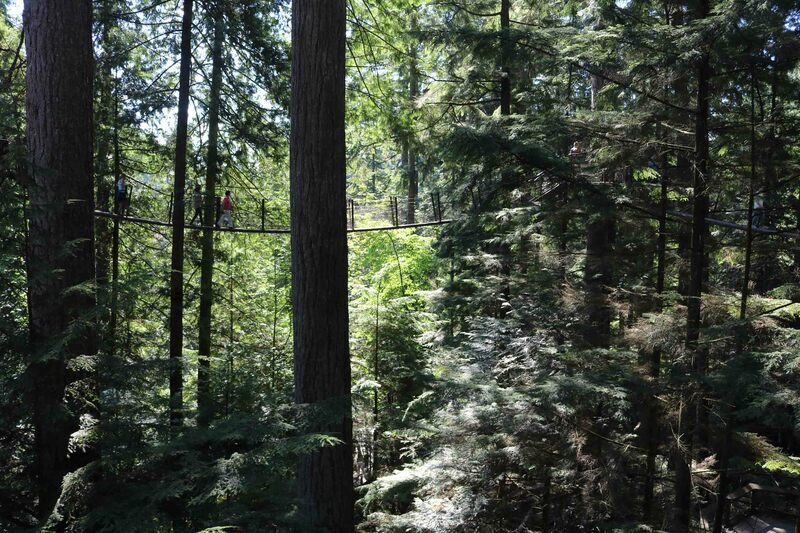 We enjoyed the thrill of crossing the 450-foot long swaying bridge, suspended 230 feet above Capilano River. The bridge offered a splendid view of the river and the forest below. An eco-guided tour is conducted by the Park every hour, which was very informative, covering various ecological aspects of the forest in the Park. The guide educated us about the rainforest, trees. trout ponds and the undergrowth. The first stop was at a banana slug. 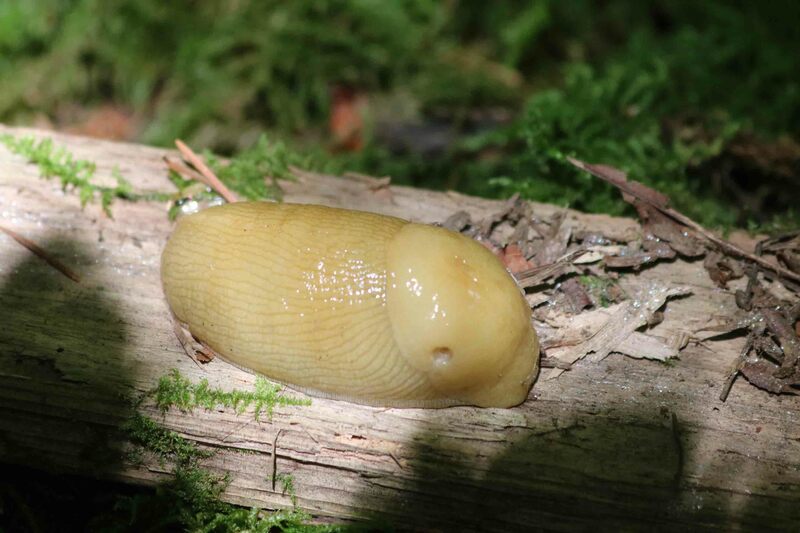 The guide explained that there are no earthworms in these forests and these slugs contribute to the decomposition of organic matter into humus. These slugs are covered with a special slimy coating that numbs the mouth of any predator. Racoons roll the slugs in mud to coat them and then eat them. We stopped next at a nurse log. 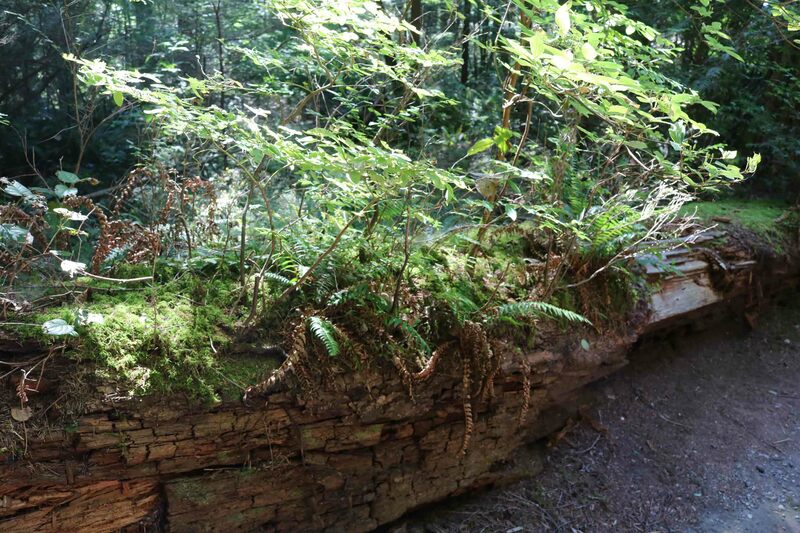 Fallen logs are called nurse logs as they help new seedling growth by creating an elevated and moist habitat. Decomposition being comparatively slower when compared to tropical forests, results in a deep layer of decaying organic matter that forms the top layer of the forest floor. This gives a cushioning effect while walking on it. Canada’s temperate rainforest is dominated by a relatively small number of tree species because the seeds need to regenerate in the low light levels on the forest floor caused the thick canopy. 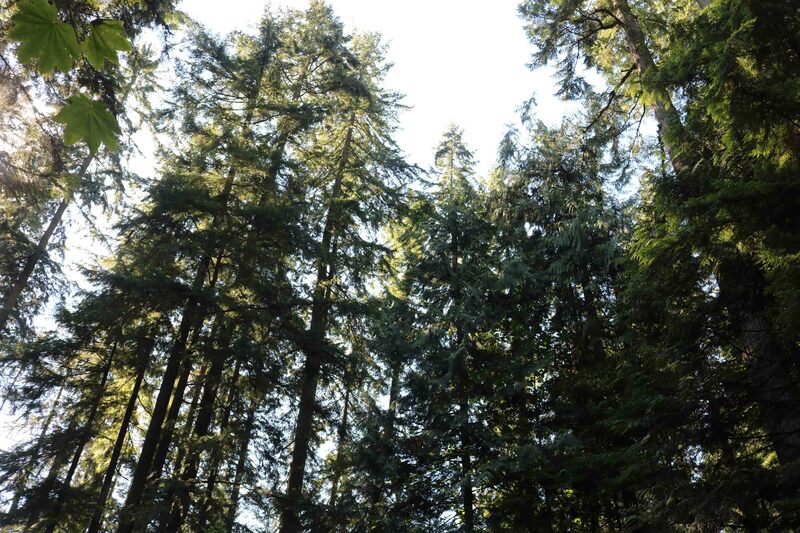 Most of the trees found in this forest are coniferous trees like the Western Hemlock, Yellow Cedar, Western Red Cedar, Douglas-fir, and Spruce. The coniferous trees are well adapted to the temperatures and shorter daylight hours of the winter as they remain green and keep their foliage in winter which helps then to photosynthesise throughout the year. The thick and uneven tree canopies that cover the coastal rainforest allow little sunlight to reach the forest floor, so undergrowth must adapt accordingly. Indeed, the ground is mostly covered by plants that do not need much sunlight, like ferns. Small trees also grow under the shade of the taller ones. In order to get sunlight, some plants grow on bark and branches of trees, where there is more sunlight than on the forest floor. Along lakes and rivers and gaps left by fallen trees, which lets in more sunlight in, few deciduous tree species like Bigleaf Maple, Red Alder and Black Cottonwood thrive. 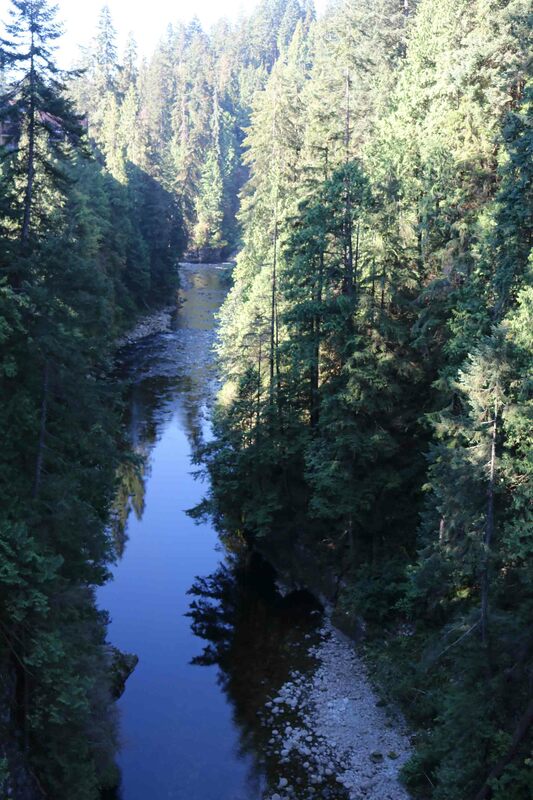 The guide escorted us to the ‘Grandma of Capilano’ – the tallest tree in the forest. 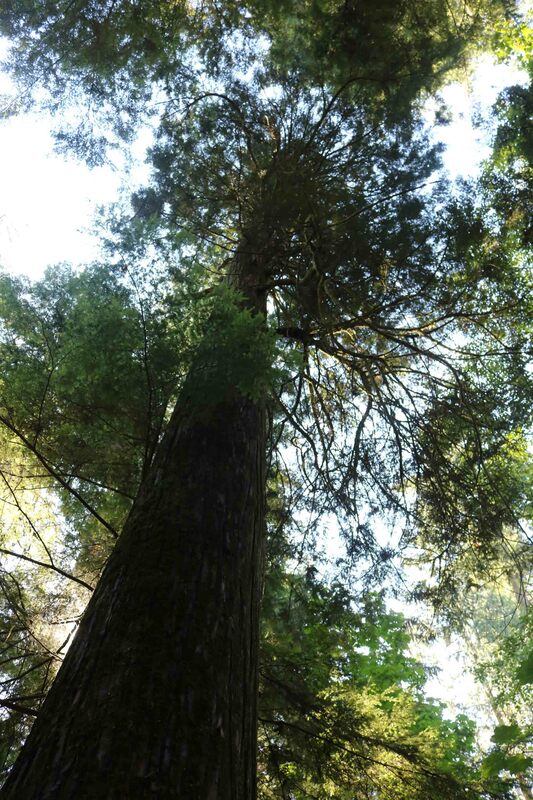 It is a Douglas Fir, aged over 1300 years, standing tall at 76 M.
After the guided tour, we ascended a foot bridge for Treetops Adventure Tour – a self guided tour. 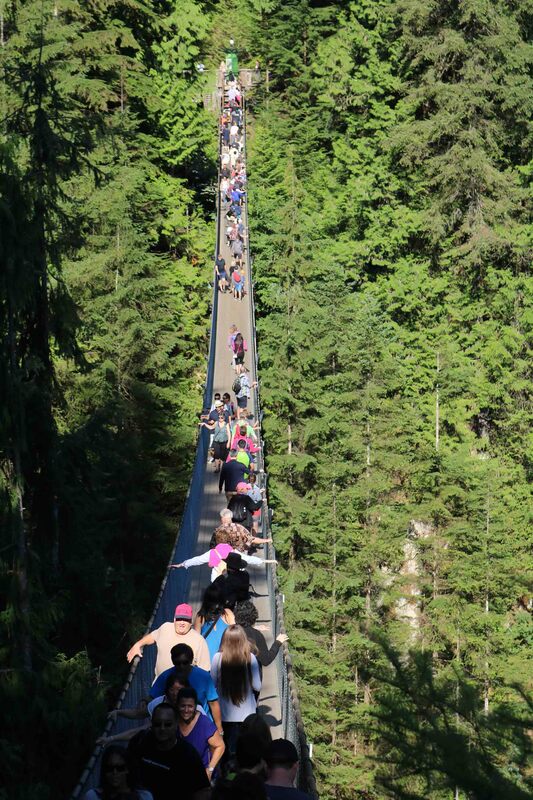 This leg consisted of seven footbridges suspended between magnificent 250-year-old Douglas Fir trees, forming a walkway up to 30 M above the forest floor. 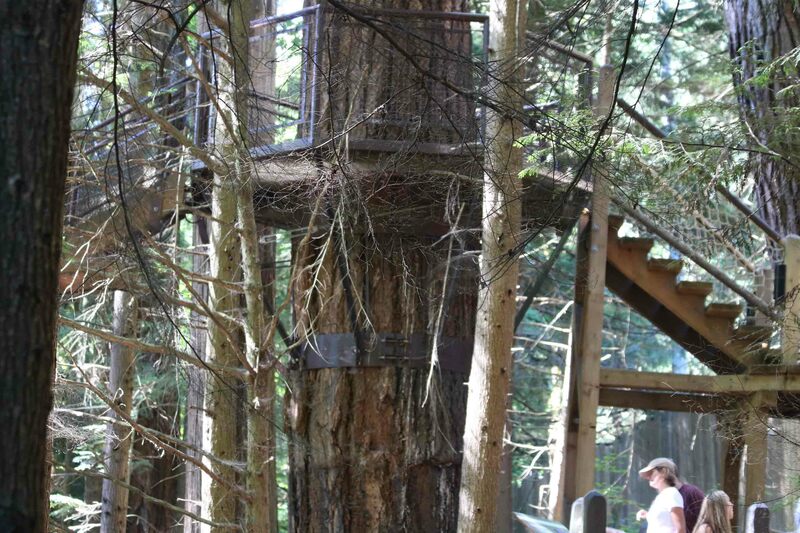 The elevated walkway offered a woodpecker’s eye view of the forest. The walkway has been created without harming the trees, with no nails or bolts drilled into them. Metallic collars hold the ends of the walkway on to trees and are moved every eight years to facilitate the tree to grow. On our way back to the parking lot was the Cliffwalk. 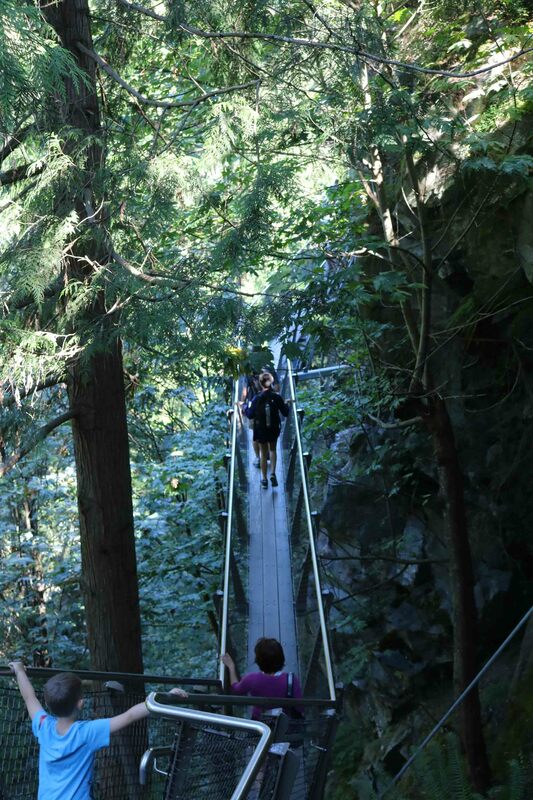 This heart-pounding cliff-side journey took us through rainforest vegetation on a series of suspended walkways jutting out from the granite cliff face above Capilano River. The Cliffwalk is high and narrow and in some sections, very strong glass is all that separated us from the canyon below. The narrow walkway has fixed handrails supported by steel beams cantilevered from 16 anchor points in the granite rock face of the canyon. Various information boards along the walkway explained the interaction between water, granite, salmon, flora and fauna. 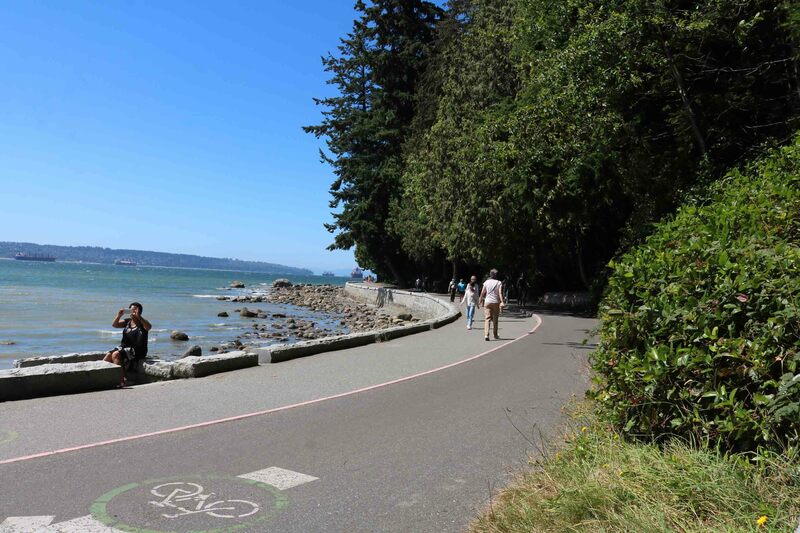 We then drove to Stanley Park on the beaches of the Pacific Ocean, a green oasis in the midst of the heavily built urban landscape of Vancouver. 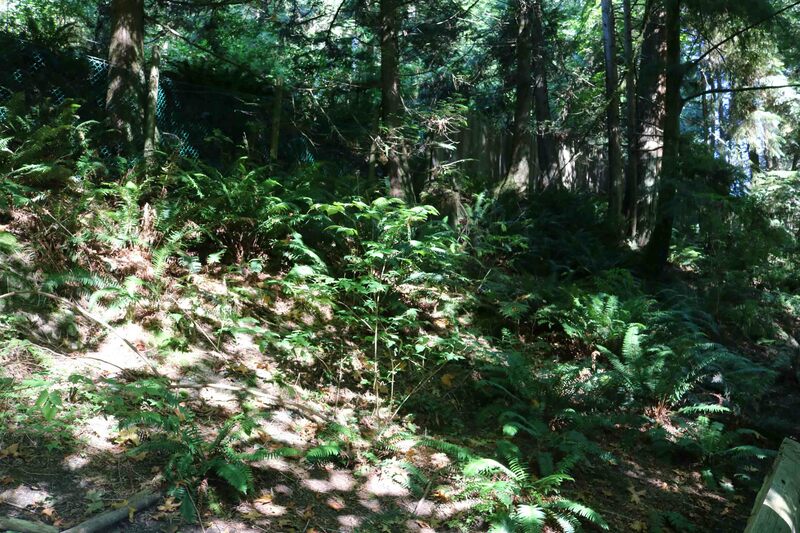 The 400-hectare natural West Coast rainforest offered us rare scenic views of the ocean with ships anchored, mountains, sky, and majestic trees along Stanley Park’s famous Seawall. We walked around the park on the walking track which ran all along the beach, adjacent to a separate cycling track.